Each one of us found our way to real estate for a different reason. Some of us wanted to be our own boss, some of us are obsessed with home improvement (any HGTV fans out there? ), and some of us simply wanted to help others the way our realtors helped us. Either way, we slipped and fell in love with that enchanted feeling that comes only from making your client smile when they finally land the home they’ve always dreamt of. 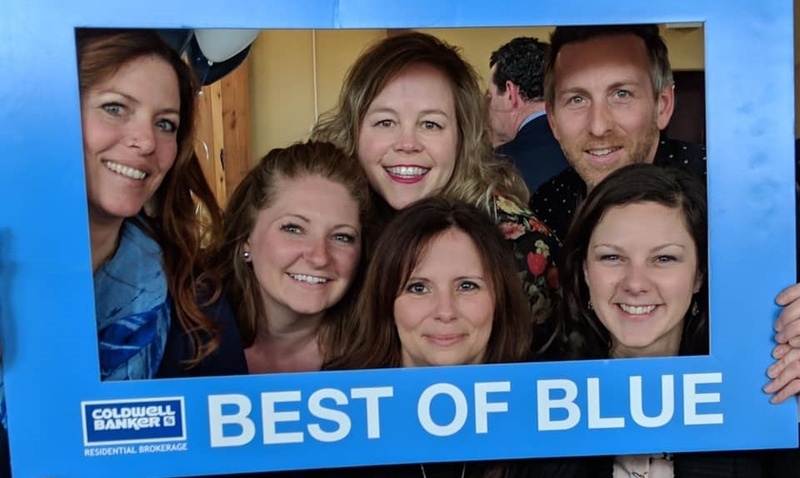 Recently, CB Crew was honored at the Coldwell Banker Residential Brokerage Best of Blue Annual Awards Ceremony. After celebrating our company and bumping elbows with fellow agents, we left our awards ceremony feeling like celebrities who’d just won a few Emmys. We are humbled by this recognition, but we also know how we got there: hard work, determination, and always putting the needs of our clients first. We love our clients, we love what we do. In our eyes, there is no better reason to dive into the real estate industry than to make people happy. We are there for our clients during major milestones in their lives, intense moments of stress and decision making. We are there to guide them through the home buying and selling process while supporting and recognizing their needs, be it excitement or grief. Sometimes it’s not easy, but it is ALWAYS rewarding to know you’ve made a difference in someone’s life. Here’s to you. Everyone who has supported us and our business along the way deserves this recognition just as much as we do. Thank you to our clients who invited us into their homes only to scoot us out after closing. We couldn’t have done it without YOU!